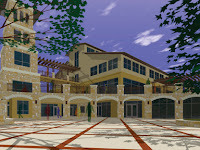 Boerne Professional Artists (BPA) will again host their Texas premier Art Show & Sale in the beautiful Cana Ballroom of St. Peter the Apostle Catholic Church October 18 - 20 this year. With more than 40 talented artists participating this year, it will be even bigger than the three-day event of last year. Their works of art include sculptures in bronze and stone, paintings in oils, acrylics, pastels and watercolor; photography, pottery, jewelry, glass, reliefs and mixed media. Bill Brockmeier will again be showing recent work from his award-winning panoramic photography. Additionally, the en plein aire "Paint Out" got such high marks last year that it has been expanded to a two full-day event as a Wednesday/Thursday prelude to the Invitational. En plein aire is a French term that translates to 'open air', so we'll be seeing as many as 40 artists at work mid-week in the open air prior to the Invitational. BPA is also very happy to announce the "Paint Out" has been recognized by the prestigious Oil Painters of America (OPA) and is included in their en plein aire event calendar. The finished works of the "Paint Out" artists will be offered in a silent auction at the opening night preview event at the Ballroom. Another well-received feature of the 2012 event were the artists' lectures and demonstrations. In response, the number of demonstrations for the upcoming event has been increased and the duration of each has been expanded in order to allow each artist a better opportunity to educate and entertain those in attendance. Additionally, the top three winners of the "Drawn to Animals" Children's Art Contest will have their artistic efforts on prominent display throughout the three-day event. 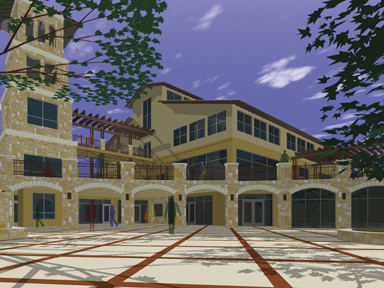 And all of this will be held in the heart of Boerne in a most elegant venue (with breathtaking northern Hill Country views!) that is easily accessible with plenty of free parking. auction at Friday's Preview Opening of the Invitational. hors d’oeuvres in the elegant setting of the Cana Ballroom. The Texas Hill Country Invitational will be open to the public with the works of more than 40 recognized artists on display. Artist lectures and demonstrations will be held from noon - 6 pm. Visitors should make their reservations now to stay in the beautiful Hill Country town of Boerne, so you don’t miss a single day of this spectacular event! Special hotel rates are available at Fairfield Inn & Suites by Marriott and Americas Best Value Inn, just use the code word "ART" when you call. Bill Brockmeier will be at The Bonsai Arbor in La Villita (San Antonio's oldest art district) presenting one of the largest groupings of his work that he has shown publicly in quite some time. The works are all produced in large scale on archival canvas, and whose subjects range from the timeless San Antonio Missions, to the lavender fields of Blanco Texas, to trees of the Hill Country, and beyond. The Bonsai Arbor is located at 418 Villita Street, Suite 500, near downtown San Antonio (78205). The shop is very near the corner of Villita and South Presa Street (convenient parking is just across South Presa, less than 100 feet away!). The full hours of the show will be about 10am to about 6pm with an "open house" from 12 noon til 4pm. Please check the map for detailed directions. 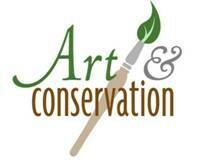 The "Arts and Conservation" show, "Our Hidden Treasures," will be at the Cibolo Nature Center, in Boerne, Texas (check out these links for the location and details). Bill Brockmeier will show his recent works, DARK MIRROR and BEFORE THE FALL. These two works are very limited editions of only eight photographs each and will be available for purchase or order at the show. The show also exhibits many other art works of diverse media (not only photographs!) and will be open to the public from 10 a.m. to 8 p.m. April 12 and 13 (FRI-SAT) and from 11 a.m. to 3 p.m. April 14 (SUN). The show occurs only every other year, so don't miss it!